We are extremely excited to announce a very special event. 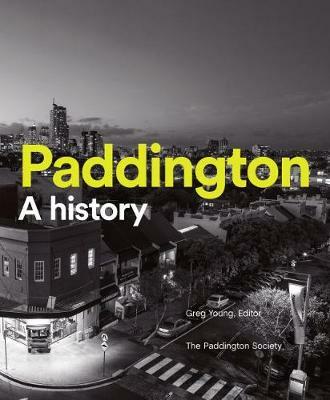 On the evening of Wedneday February 20th, we will be hosting a fantastic panel of experts on the topic of our most beloved neighbourhood: Paddington. 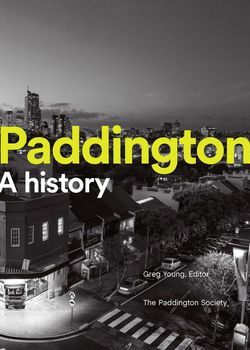 In celebration of the new, gorgeous and comprehensive "Paddington: A History," we welcome three panelists -- Peter McNeil, Garry Wotherspoon and Sandra Hall -- who will be in discussion about some of the themes the book explores: creativity, gentrification, bohemian Paddington and queer culture. The event will kick off at 6.30pm at, of course, Berkelouw Books Paddington on Wednesday February 20th (19 Oxford Street, Paddington, 2021). We can't wait to welcome both Paddington locals and visitors looking to learn about one of the world's most beautiful Victorian enclaves. Please book your seats below; we expect them to go quickly! Sandra Hall is a film critic for the Sydney Morning Herald. She is also the author of two novels, Beyond the Break and A Thousand Small Wishes, as well as Tabloid Man, a biography of the press tycoon, Ezra Norton, and two books on the history of Australian television: Supertoy: 20 years of Australian television and Turning On: Turning Off: Australian television in the eighties. In 1994, she won the Pascall Prize for film criticism. Dr Peter McNeil is distinguished professor of Design History at the University of Technology Sydney and Finland distinguished professor at Aalto University. An award-winning author, he is a fellow of the Australian Academy of the Humanities where he is section head for the Arts. He publishes and lectures internationally across design, fashion, textiles, interiors, architecture and the urban condition. His publications on Sydney designers circa 1920–30 have been widely reprinted. He has lived happily in or beside Paddington for 25 years. Garry Wotherspoon is a Sydney-based writer, a former academic and former NSW history fellow. His books include Sydney’s Transport: Studies in urban history, and Being Different: Nine gay men remember. His The Sydney Mechanics’ School of Arts: A history was shortlisted for the NSW Premier’s History Awards, and his Gay Sydney: A history was shortlisted for the Queensland Literary Awards. He was awarded Australia’s Centenary of Federation Medal for his work as an academic, researcher and human rights activist.